Unlike most yogurt and cereals, egg consists of only one ingredient - "eggs" itself. It is the cheapest source of high-quality protein. An average size egg contains 6 grams of high-quality protein which helps in sustaining mental and physical energy throughout the day. Egg yolk contains a substance, Choline which helps to promote normal cell activity, liver function and the transportation of nutrients throughout the body. It is also vital in the infant's memory functions development. Egg contains zero carbs and sugar, which mean you can eat a well-rounded breakfast during the week without feeling round yourself. 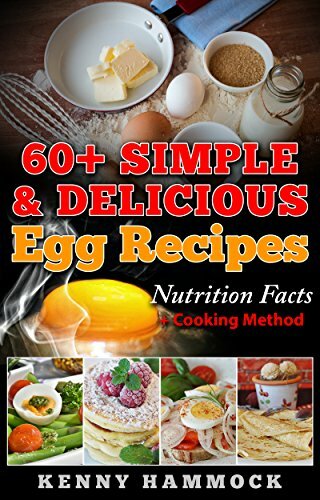 This book consists of over 60 healthy, delicious egg-as-ingredient recipes, easy-to-find ingredients, easy-to-follow cooking steps, covering breakfast, lunch as well as dinner. Don't miss it !!! Grab one book and read. Should you have any comment on the book, please feel free to provide your review. Your review is important to me as it allows me to rectify my shortfall and provide you with much better reading experience in future.